Please enjoy a selection of our repertoire via the video clips below. The Svea Male Chorus and The Swedish Women's Chorus singing at the 'Valborgsmässoafton' (Walpurgis Eve) concert held at the Swedish Club in Seattle on April 30 2016.﻿﻿ Soloists: Dan White and Justin Ferris. Special effects by Wellington Westbrook. 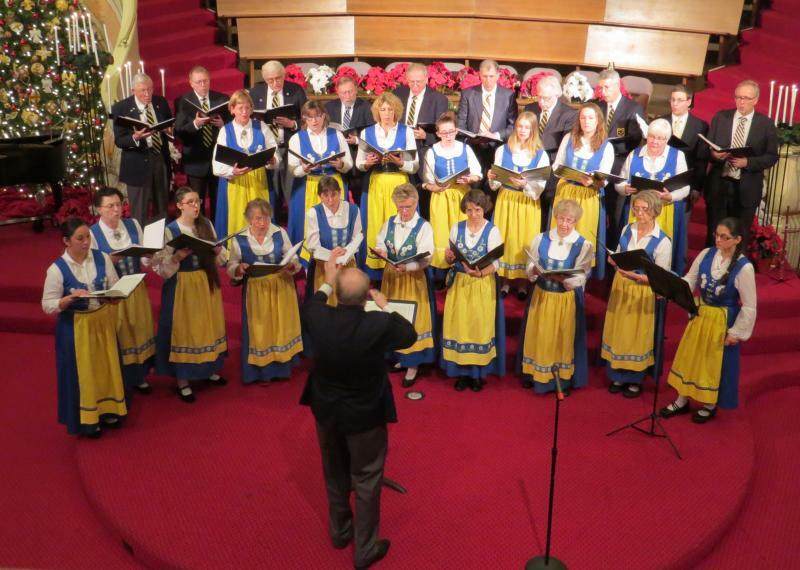 The Svea Male Chorus and The Swedish Women's Chorus singing at the 'Valborgsmässoafton' (Walpurgis Eve) concert held at the Swedish Club in Seattle on April 30 2016. The Swedish Women's Chorus singing Morgonen; words by J.L.Runeberg music by Oskar Lindberg (1887-1955). The Swedish Women's Chorus performing as part of the Seattle Sings festival 2015 at St Mark's Cathedral organised by the Greater Seattle Choral Consortium.